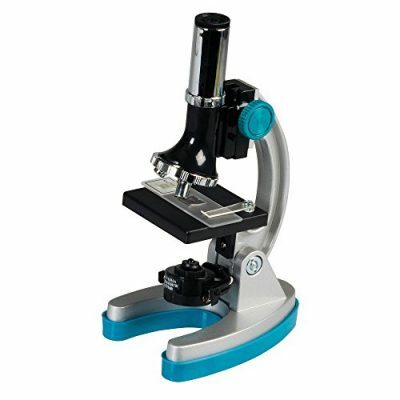 Investigate everything from cells to crystals in dazzling detail with this die-cast microscope featuring glass eyepieces and 50x-600x power settings! Simply slip one of 3 prepared slides under the lens or prepare your own specimen! 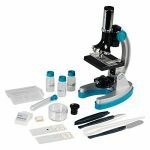 Includes microscope; 10x and 20x glass eyepieces; 3 prepared slides; 8 blank slides; lab supplies; and an 18-page instruction and activity guide. 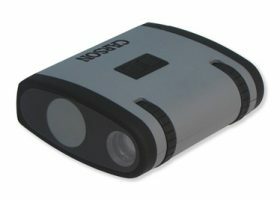 With the GeoSafari MicroPro, young scientists can investigate everything from cells to crystals. Perfect for individual or classroom use, the glass eyepieces and power settings from 50x to 600x provide users with superior precision viewing. The built-in light and rack-and-pinion focusing help deliver bright, clear images. 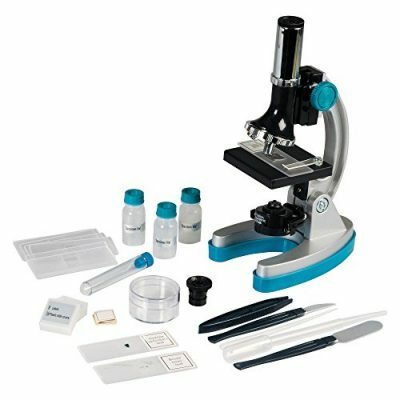 The 48-piece kit has professionally prepared slides and everything users need to make their own specimen slides. Not a toy, but a scientific instrument, the microscope includes high-quality components and features that make it appropriate for science learning at any age. 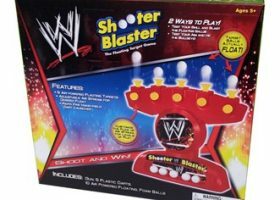 Requires 2 AA batteries for light (not included). Power settings from 50x to 600x for superior precision viewing of everything from cells to crystals. Included guide features 8 hands-on microscopic activities as well as tool usage and care tips. 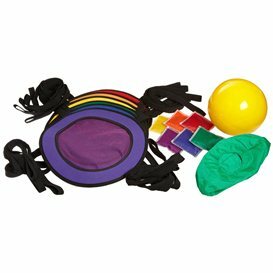 Supports STEM learning through scientific exploration and hands-on experience with a key scientific tool. Guide includes suggested activities designed to get kids engaged in scientific investigation. Light requires 2 AA batteries, not included.